Though it has historically been a favorite of retailers, Lengow provides equally great opportunities for merchants and brands to sell products around the world. Lengow’s international team works hand-in-hand with all of the above groups to help them optimize their strategy for cross-border sales. The writings on the worldwide wall indicate that 2015 will be cross-border’s big year. Shopping abroad is definitely in style, including among many Chinese shoppers on Tmall.com (featured on the Lengow Blog) and 50 percent of European online shoppers, according to data shared by Ecommerce Europe VP Marc Lolivier on the Lengow Blog. And as Lengow CEO Mickael Froger explained last week in his editorial published by Ecommerce News EU, we are just at the tip of the international iceberg. With that said, online merchants definitely need to figure out how to keep up with the post-local pace. A good example to follow would be some of the world’s leading brands, mentioned just below. 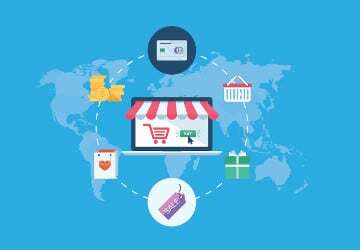 More than 3,500 ecommerce sites around the world currently use Lengow, from the United States to Singapore. Among them are Rakuten (which is featured on the Lengow Hub) and L’Oréal (which explained on the Lengow.com homepage how Lengow helps them boost their sales). Other clients include Calvin Klein, Pepe Jeans, MADE.com and Showroomprive.com (who were both featured on a Lengow Blog article about LeWeb). In case you didn’t already see on the Lengow Blog recently, Lengow is on its international road show as it prepares to host Lengow Ecommerce Day in Paris on June 2, 2015 (which is being promoted via #LengowDay on Twitter). If you didn’t have a chance to meet Lengow COO Nenad Cetkovic and the team this week at the E-Commerce One-to-One salon in Monaco (Cetkovic shared some cross-border insight there), you can reach out to us with your questions at Internet Retailing Expo (Stand F91) in Birmingham, UK on March 25-26, 2015. Meet #Lengow Leaders @monsieurfred(https://t.co/zsBJlFuQRZ)+@nenadcetkovic(https://t.co/RJvSIgWmIO) at @etail @etailexpo #IRX15 Stand F91! And as always, the Lengow team is available to listen to your pain points as you strive to grow your ecommerce sales this year and provide you a free demo of our solution. Contact us online or give us a call at +44 203 318 2631.